A subaward/subcontract begins in the proposal development phase of an award. Verification from the subrecipient must be obtained through completion of the Subrecipient Commitment Form. This form also confirms that the subrecipient has the basic policies and procedures in place to manage federal funds. In addition to the Commitment Form, the subrecipient must also provide Georgia Southern a statement of work, budget, and other necessary documentation. After the federal agency has issued a notice of award to Georgia Southern University Research and Service foundation, Inc., the University is responsible for initiating subaward agreement(s) with the proposed subrecipient(s). This process is carried out by the Grant Coordinators in the Office of Research and Sponsored Programs (ORSSP). During this phase, a risk assessment of the subrecipient’s compliance process and eligibility to receive federal funds is performed. 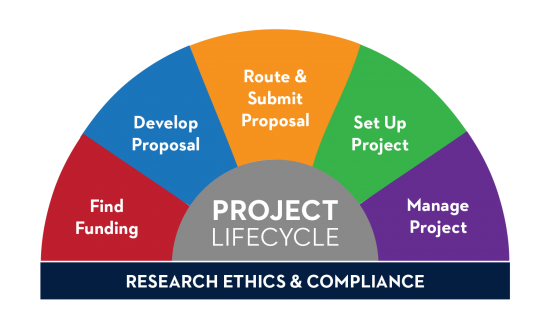 Once the subward/subcontract has been initiated, the Principle Investigator (PI) should coordinate with the Office of Research Accounting (ORA) to encumber the funding the subaward/subcontract and obtain a Purchase Order for future payment to the subawardee. The ORSSP, ORA, and the PI are jointly responsible for regular monitoring of the subaward throughout the life of the award. The purpose of monitoring is to 1) ensure federal funds are spent in compliance with the applicable laws, regulations and provisions, and 2) ensure performance goals are met. effort on an award. An individual, business, or other entity which supplies products or services to the University. An individual or business whose expertise is required to perform the project. Services are temporary and special or highly technical. A Georgia Southern University employee whose expertise is temporarily required to perform the project.